Note: This letter was generated a few years ago but still contains useful information. 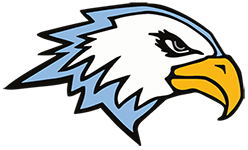 If you are an Eagle Parent/Guardian and would like to update it please contact Arend Vander Pols. As we begin another year, this sport being new to some, the senior parents thought that it would be best to provide a general outline of some of the sport’s intricacies. If this is the first year for you, we hope that you will enjoy this sport and find this information helpful. The coaching staff handles the part of Cross Country that involves the actual running and the races. With a team of over 100 runners, it will be nice for you to know that the questions that cannot be answered by your runner can be found in other places. Most information will be posted on the official Eagles web site Eaglesrunning.com. Email letters from Doug and the experience of other parents should cover most questions. Remaining questions regarding uniforms, injuries, illness…etc should still be directed to the coaches. Over the years, many “extras” have become a part of the team experience. Each year takes on a little different flavor depending on the group. Below, you will find a list that explains some of the details and the “extras” of Cross Country. There are two for each race: one gets you from Grand Rapids to the race site, and the other shows the runners’ racing course. Our goal is that these maps and any other info regarding the races will be linked from eaglesrunning.com. Please be aware that some details, especially the race course maps, may not be available for each race. Directions to race sites are also available on the GRCS calendar of events. Parents provide a food and drink on race day. Saturday meets are long and delays are possible. Leaving the race to purchase food is difficult at many races. Less food will be provided for the Wednesday meets, while more will be available at the Saturday invitational. A parent/guardian volunteer creates snack schedule with food lists and quantity suggestions that is made available on the website. If you are unable to bring food on your assigned date, please make a trade to insure that the responsibility is covered. With over 100 runners, a trade should work. The schedule will be emailed and then posted on the website. We do not intend to send a paper copy home, so be alert to your assigned date and food contribution. These festive potlucks for the runners are scheduled for the Friday evening before Saturday meets. They are often held at churches where our runners attend. A parent/guardian volunteer sets up scheduling the locations and designating the food assignments based on grade and gender. If you would be willing to host this gathering at your church, please contact the parent/guardian volunteer for the year. Each runner will always need his/her own table service. The food list will be emailed and the locations will also be emailed as they are secured. This information will also be on the website. Many photos are taken of the runners throughout the season. A parent/guardian volunteer compiles these pictures into something we can enjoy at the final banquet (sometime in November- date TBD). It is our hope that the banquet pictures will include every runner. If you take photos and are willing to share your best ones with the team, please give these photos to the parent/volunteer. With a team this large it is helpful to have a way to identify each runner. A photo directory is being created. You will receive a team list with the each runner’s picture, his/her name, grade and parents’ names. You will also receive buttons with the runner’s picture on it, compliments of the Athletic Boosters Club. The Athletic Boosters Club (ABC) takes on the huge task of providing concessions at different sports events. This is a huge fund raiser and those funds go back into supporting each athletic program. To support this fund raiser, they ask that every athlete’s parents commit to serving concessions sometime during the year. You will receive a postcard notifying you of your assigned date & time. The team owns two large tents and a few tables which are transported to every meet. Setting up and taking down these tents can be rather labor intensive and extra help is appreciated. Overall this is a low expense sport. Both boys and girls are selecting an extra piece of running apparel with the team logo on it. When collecting money for this, they may collect money for the coaches’ gifts as well. If your child doesn’t place an order, he/she will be contacted for the coaches gift contribution. The schedule and the content of the study are set by the runners. These events are hosted on nights throughout the season. Please consider offering your home for this evening event.